106 inches O.C. 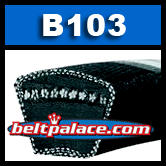 - B103 Industrial V-BELT. 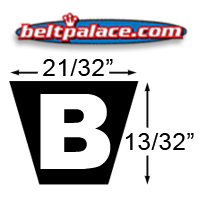 Lawn and Garden, woodworking and metal industry, fan motor belt, belt for power tools and machines, textile industry, and more!